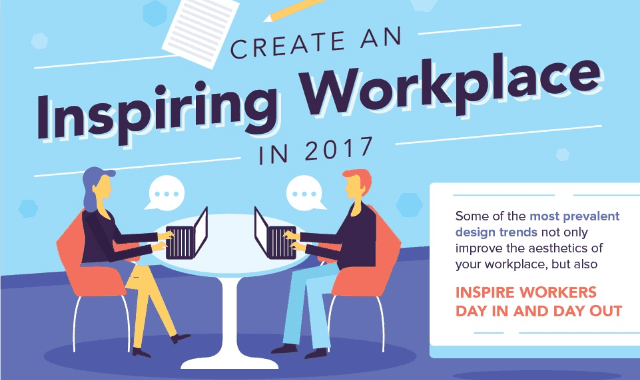 Create an Inspiring Workplace in 2017 #Infographic ~ Visualistan '+g+"
Many offices have come a long way from drab colors, stuffy cubicles, and giant computer monitors that take up a huge chunk of desk space. Companies have learned the importance of investing in strategic, beautiful office design. A well-designed office—both in terms of function and aesthetics—can inspire workers and visitors.